That is far from all. The bill might also increase the cumulative fiscal deficit by about $1.5tn over the coming decade. Yet, according to the independent and respected Congressional Budget Office, the US fiscal position is already on a deteriorating path, with spending forecast to rise from 21 per cent of gross domestic product in 2017 to 25 per cent in 2028-37. The planned tax cuts would worsen the pressure to cut spending. The outcome desired by the Republicans is to slash spending on nearly all of the non-defence discretionary spending of the federal government, plus its spending on health and social security. In all, then, this is a determined effort to shift resources from the bottom, middle and even upper middle of the US income distribution towards the very top, combined with big increases in economic insecurity for the great majority. How, one must ask, has a party with such objectives successfully gained power? In all, we can see three mutually supportive answers to this question. The first approach is to find intellectuals who argue that everybody will benefit from policies ostensibly benefiting so few. Supply-side economics, with its narrow focus on tax cuts, has been the main theory employed, because it directly justifies tax cuts for the very wealthy. But it is untrue that the tax cuts of the Reagan era unleashed an upsurge in trend US economic growth. Since the economy is now nearing full employment, the benefits of fiscal stimulus would be especially small. Supporters of the proposed cuts argue that the reductions in corporation tax will lead to a big rise in business investment. Here are two powerful pieces of contrary evidence: the share of post-tax profits in US GDP has already nearly doubled since the early 2000s, with no beneficial effect on the rate of investment; and the UK has progressively slashed its corporate tax rate from 30 to 19 per cent since 2008 with no identifiable benefit for investment. Lowering the corporate tax rate is merely a windfall for shareholders. If one wanted to raise investment, one would make it fully deductible from tax. The proposed repeal of the estate tax, which is of benefit only to the heirs of the largest 0.2 per cent of estates in the country, really gives the supply-side game away. Who wants to argue that people live longer if death is less taxed? The second approach is to abuse the law. One way has been to give wealth the overriding role in politics it holds today. Another is to suppress the votes of people likely to vote against plutocratic interests, or even disenfranchise them. The third approach is to foment cultural and ethnic splits. This is sometimes described as the “Southern strategy”, which shifted the old South from the Democrats to the Republicans, after the former enacted civil rights. Yet this is too limited a view of the strategy. More interesting is the echo of the antebellum South itself. The pre-civil war South was extremely unequal, not just in the population as a whole, which included the slaves, but even among free whites. A standard measure of inequality jumped by 70 per cent among whites between 1774 and 1860. As the academics Peter Lindert and Jeffrey Williamson note, “Any historian looking for the rise of a poor white underclass in the Old South will find it in this evidence.” The 1860 census also shows that the median wealth of the richest 1 per cent of Southerners was more than three times that of the richest 1 per cent of Northerners. Yet the South was also far less dynamic. The South was a plutocracy. In the civil war, whose stated aim was defence of slavery, close to 300,000 Confederate soldiers died. A majority of these men had no slaves. Yet their racial and cultural fears justified the sacrifice. Ultimately, this mobilisation brought death or defeat upon them all. Nothing better reveals the political potency of identity. A not dissimilar threat arises for today’s plutocrats. The economics and politics of pluto-populism have stoked cultural, ethnic and nationalist anger in the party’s base. Skilful demagogues are able to exploit this anger for their own purposes. At least Mr Trump remains a servant of the plutocracy. But his former adviser, Steve Bannon, seeks someone to promote rightwing populism shorn of its more blatantly plutocratic elements. The plutocrats are riding on a hungry tiger. The pluto-populism of the Republican elite brought forth Mr Trump. This is not going to be forgotten. If the current tax bills get through, the tensions within the US are almost certain to get worse. Latin American inequality leads to Latin American politics. The US the world once knew is drowning in a tide of unconscionable and apparently unlimited greed. We are all now doomed to live with the unhappy consequences. The European Central Bank last month achieved the exceptional feat of halving its bond purchases without upsetting investor sentiment. One of the reasons is because the ECB is favouring bonds that yield more. At the October meeting, Mario Draghi, the ECB President, promised the bank would continue buying “sizeable quantities” of corporate bonds. That overweight position in yield is coming at the expense of government bonds, and notably German Bunds, which have the largest country weighting and the lowest yields. Back in 2015, when the ECB first embarked on large purchases of public bonds to funnel more cash into the euro economy, the central bank promised it would buy in relation to the “capital key” of each euro area member state — these weights are similar to national incomes. Yet it has not worked out quite like that. It is increasingly apparent that the ECB is favouring Italian and French bonds, month after month over the course of 2017. At September’s ECB press conference, President Draghi said “there are temporary deviations from the capital key. There have been deviations, there will always be deviations from the capital key due to the liquidity conditions due to the fact that we’re going to be as market neutral as possible in our purchases. So if you have very tight liquidity conditions in one market, you just slow down with purchases”. However, the two markets with the biggest overweights relative to capital key are Italy and France. These are also the two with the biggest amount of bonds outstanding. And, along with German Bunds, they are also the most liquid bond markets in euros. In September, for example, the ECB purchased almost €1bn more of Italian bonds than strict proportionality would warrant. For France, the gap was even bigger at €1.5bn. The average monthly purchase for both countries in the past six months has been above €1bn each. Maybe the ECB does not consider these overweights to be large, but at the margin they are supporting risk sentiment as they add up. In the absence of a convincing official explanation, one supposition investors have made is that the ECB has needed to compromise so as to satisfy its other purchase criteria. The ECB imposed upon itself caps on individual bond holdings of up to 33 per cent. In countries with low outstanding amounts relative to GDP, such as Germany, this could be a challenge. Germany is Europe’s biggest economy but its purchasable debt is only about 60 per cent that of Italy. So this could be forcing the ECB into favouring the even bigger issuers. The more that there is a gap between what the ECB says and what the figures show, the greater the political implications. Some politicians in Italy say they would like to see the ECB buy far more Italian bonds. There have even been calls to purchase them in proportion to national debt, instead of capital key or GDP. Italy is Europe’s biggest bond market and would benefit hugely from such a decision. But any change in weightings would have large political implications. This would mean that countries that run up larger debts would get more ECB support. Yet any hint of a reward for fiscal profligacy would be anathema in the less indebted countries. The easiest explanation for what’s going on is that the national central banks and the ECB Board have difficulty agreeing what to do. Mr Draghi’s leitmotif this year has been “flexibility”, a catch-all phrase that could reflect some muddle through behind the scenes, and facilitated by the lack of precise data and transparent rules and practices (for example we still don’t know how much time must elapse before euro area national central banks can step in to buy newly issued bonds or their surrogates). More fundamentally, the lack of progress towards monetary, fiscal and banking union is complicating the execution of ECB policy. One of the reforms on the table now is for the issuance of joint “Euro area Safe Bonds”. This would help solve the ECB’s dilemma through the creation of true euro area treasury bonds. But greater euro area integration and burden sharing is many years away. The danger in the meantime is that any ECB largesse, whether overall or towards one country or another, and even after last month’s taper, helps smother the usual volatility in bond prices. Political risk lately has not been reflected in yield moves. If ECB policies contribute to overly low yields, the need for brave economic reforms will remain hidden from the electorate. That is in no one’s interests. NEW YORK – Why is unemployment so low in countries where inflation remains subdued? For economists, this is a fundamental question. And when economists confront a fundamental question, fundamental disagreement often follows. I was one of the rebel economists of the 1960s who rejected the macroeconomics we were taught in the 1950s – the “Keynesian” theory developed by J.R. Hicks, A.W. Phillips and James Tobin, according to which aggregate demand drove everything. High unemployment was caused only by deficient demand, and low unemployment only by abnormally high demand. This bothered us, because the basic economic theory we were taught – the theory built by Alfred Marshall, Knut Wicksell, and Robert Solow – said everything was driven by structural forces. Faster technological progress and a greater preference to work or to save were to be welcomed, because they would boost the supply of labor and capital – and thus employment and investment. But the Keynesians maintained that structural forces were bad, because they cost people their jobs, unless policymakers manufactured enough demand to match the increase in supply. A conclusion we drew was that, at the very least, the path of an economy, measured by conventional macroeconomic variables of unemployment, inflation, and output growth, is not fully determined by aggregate demand. Structural forces matter. Keynesians’ claim that “demand” is all-powerful – that it alone increases employment and thus investment and even growth – was groundless. Yet they continue to repeat it. The structuralist perspective on macroeconomic behavior led to the concept that came to be called the “natural” rate of unemployment, borrowing from the notion, which arose in Europe during the interwar years, of a “natural” interest rate. Yet the term “natural” was misleading. But there is a complication I have long emphasized. The “natural rate” itself may be pushed up or pulled down by structural shifts. Moreover, shifts in human attitudes and norms may also have an impact. Yet a curious development has posed a challenge to this view. America and the eurozone are in the midst of a boom. In America, unemployment has reached very low levels and shows no sign of rising back to its former natural rate – whatever its new level may be. With no more evidence than that, a structuralist model would predict an inflation rate that is already elevated and rising – and the inflation rate is not running high, even though the US Federal Reserve has flooded the economy with liquidity. In the eurozone, too, unemployment is falling, yet inflation rates are still low there, too. 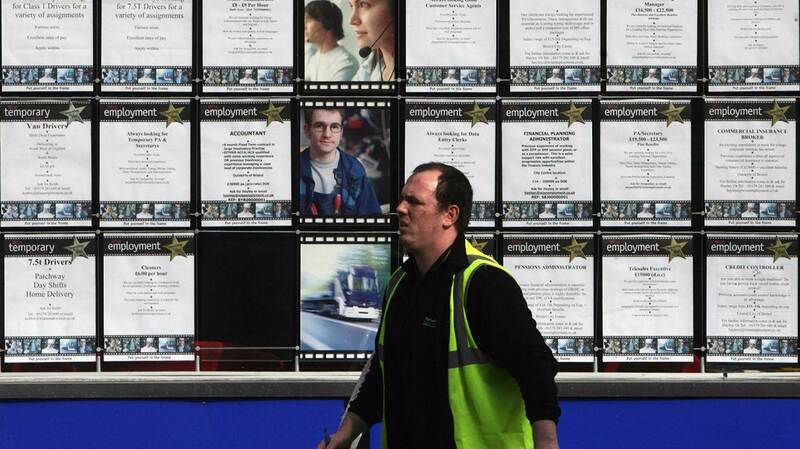 What explains the paradox of low unemployment despite low inflation (or vice versa)? So far, economists – structuralists as well as diehard Keynesians – have been stumped. The answer must be that the “natural rate” is not a constant of nature, like the speed of light. Certainly, it could be moved by structural forces, whether technological or demographic. It is possible, for example, that demographic trends are slowing wage growth and reducing the natural rate. From the 1970s to the late 2000s, demography was essentially a dormant issue. Now, the baby boomers are retiring from relatively high-wage jobs while young people, who start at relatively low wages, are still pouring in to the labor market. This slows the growth of wage rates at a given unemployment rate, leading to lower unemployment at a given rate of wage growth. More interesting is the possible effect of people’s values and attitudes, and their hopes and fears about the unknown and unknowable, on the natural rate. Here we are entering terra incognita. For me, a compelling hypothesis is that workers, shaken by the 2008 financial crisis and the deep recession that resulted, have grown afraid to demand promotions or to search for better-paying employers – despite the ease of finding work in the recently tight labor market. A corollary hypothesis is that employers, disturbed by the extremely slow growth of productivity, especially in the past ten years, have grown leery of granting pay raises – despite the return of demand to pre-crisis proportions. I have also argued, based on a model of mine, that as the return of a strong dollar by early 2015 threatened to inundate American markets with imports, firms became scared to supply more output at the same price. Or else they supplied the same output as before at reduced prices. And they refused to raise employees’ wages. In short, more competition created “super-employment” – low unemployment and low inflation. All this does not mean there is no natural unemployment rate, only that there is nothing natural about it. There never was. 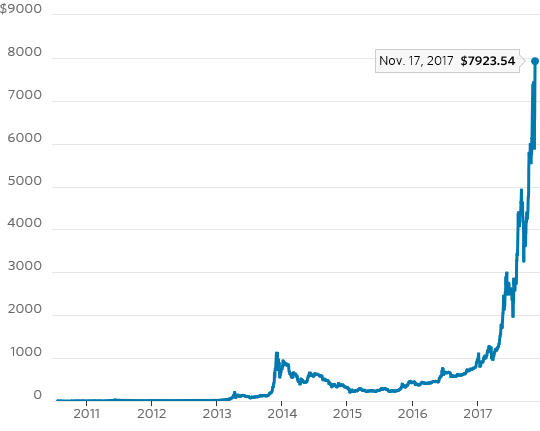 If the markets are at a top, bitcoin has scaled the highest peak. Past episodes of market euphoria have often been marked by extreme optimism over new technologies. In the 1920s it was automobiles and radio. In the late 1990s it was the internet. Today the innovations fueling investor dreams include video streaming and electric cars. But none has inspired as much zeal as blockchain, the distributed ledger technology underpinning bitcoin and other digital currencies. As in those previous market bubbles, the underlying technological revolution is real. Blockchain has the potential to change how commerce is conducted by cutting out financial intermediaries. But, just like during the dot com bubble, that doesn’t make all or even most of today’s blockchain players smart investments. Bitcoin itself has risen more than 700% this year, powering through multiple sharp corrections. The currency is still seldom used to buy actual goods or services, making it for now almost entirely a vehicle for speculation. The current investing nirvana is under attack as central banks scale back stimulus in a world filled with money. Heard on the Street walks through the risks and likely scenarios for markets in the coming months. Even more worrying has been the wave of initial coin offerings, in which start-up companies issue new digital currencies to investors. There have been more than 160 coin offerings this year, collectively raising more than $3 billion, according to research firm Coindesk. Deals have garnered endorsements from celebrities such as Paris Hilton and Floyd Mayweather. 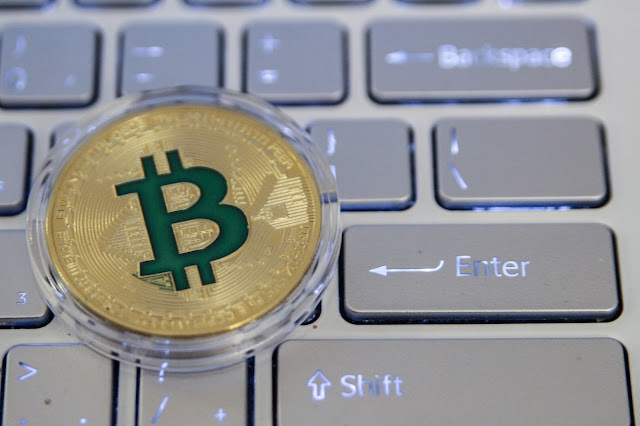 The coins typically work like tokens exchangeable for the startup’s future goods or services, but in some cases the offering firms give little or no information as to how they will use the proceeds or what the coins will be good for. This sparked a recent warning from Securities and Exchange Commission Chairman Jay Clayton that many offerings are susceptible to manipulation or fraud. Schemes to lure credulous investors also tend to proliferate near market tops. Investors should proceed with caution. The hunt for yield is taking Wall Street and investors into exotic territory—and that means an appetite for credit assets that are private, not easily tradable and often complex. Putting together deals in what some dub “nonlinear finance” is a growth business for investment banks’ big bond-trading arms and is helping clear unwanted assets off some balance sheets. However, such private deals, which aren’t publicly traded and don’t have public credit ratings, are a challenge for regulators keeping track of the growth of shadow banking and to understand whether such activity is driven by regulation—or its avoidance. 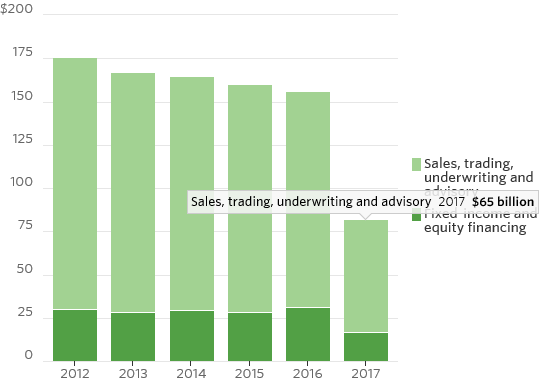 The business isn’t new, but it is heating up as banks hire specialists and commit balance-sheet capacity to feed investor demand. 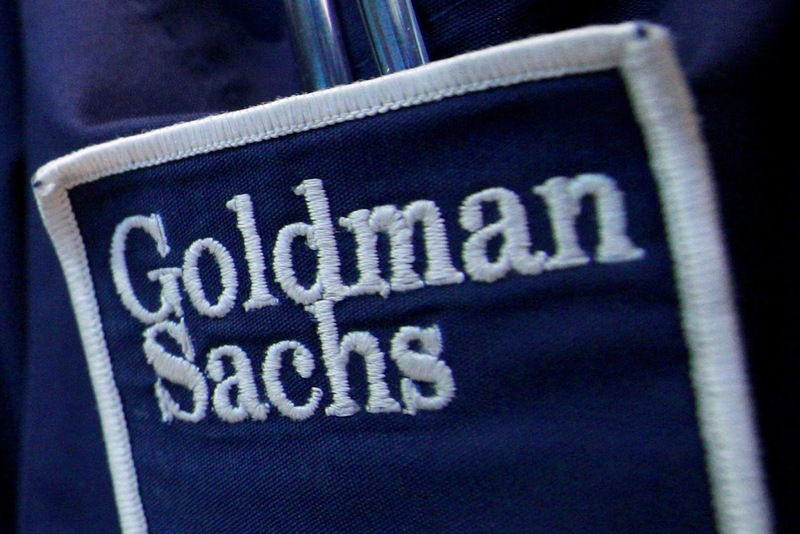 Goldman Sachs said in September that it could double its financing of “bespoke collateral” by giving its fixed-income trading arm an extra $5 billion worth of balance-sheet capacity. This would bring in at least an extra $100 million of revenue, which likely only counts the net interest income Goldman would earn on debt it keeps and not all the other deal fees involved. Deutsche Bank is a market leader in this business earning roughly €400 million each quarter from all the financing linked to fixed-income trading including nonlinear trade, while others such as Credit Suisse or BNP Paribas are more focused on certain products or regions. So what is this business? It starts with lending to private-equity or hedge fund clients who want to buy an assets that are hard to value, hard to sell, or low quality. Such assets can’t be financed in markets by fixed-income trading arms in the traditional way that liquid, high-quality are. The hot assets right now include pools of European bad loans, other private loans, large property deals especially in the U.S., and things like infrastructure assets in emerging markets. 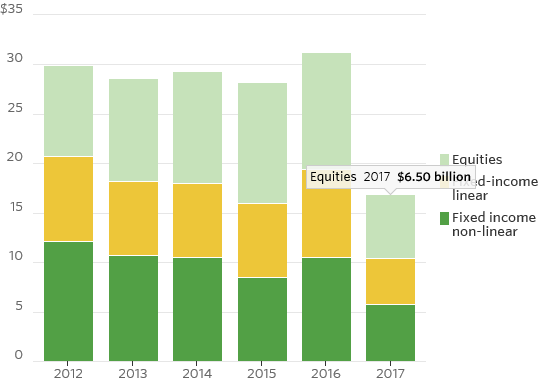 Some come from weaker banks’ balance sheets, but many are being found by investment bankers, or the hedge funds and private-equity firms who anchor the deals. Investor demand for such assets is outstripping investment banks’ ability to find the assets right now, according to one banker in the field. Banks slice the financing into tranches. The riskiest equity slice is owned by the anchor hedge fund or private-equity firm and gets the biggest payoff if the assets perform well. The safest slice pays steady coupons and gets paid first. Banks make money from both interest and fees. They charge for their structured-credit experts who put the deals together, for selling some or all of the senior debt itself, and for derivatives trades, to hedge currency risk, for example. The banks can choose to keep some slice of the debt they create and earn net interest of typically 2% annually, or sell it all to insurers, pension funds or other banks who want safer senior-secured debt that pays a juicier yield than is available in public markets. These kinds of deals look a lot like securitizations—the process behind mortgage-backed bonds. But private structured credit like this business avoids rules drawn up after the last crisis that say banks must retain some exposure in any securitization. According to one European bank executive, banks can sell almost any kind of private senior-secured debt to investors right now and his bank is giving up interest income because investors are willing to pay more for it. Industry revenue in this patch rose by nearly a quarter in 2016 and was stronger again in the first half of 2017, according to Coalition, the research firm, which calls the business fixed income nonlinear financing, to distinguish it from traditional market-based, or linear, financing. It isn’t easy to spot, but for some banks this business is supporting revenues in hard-pressed fixed-income divisions. These hard-to-value assets can cause losses and spread fear when markets turn. Regulators need to be sure they know how much business is being done and where the risks are going. Three things happened Nov. 2 that may not appear related on the surface but that are intimately linked. First, in the Middle East, the Syrian army and its allies advanced quickly in the direction of the Islamic State-held city of Abu Kamal on the Syria-Iraq border, and are now within 30 miles (50 kilometers) of the city, according to Syrian state media. Second, in Kazakhstan, Kazinform news agency released the names of four distressed Kazakh banks that had received a government bailout to the tune of $1.2 billion in October. And finally, in the U.S., a 29-year-old Uzbek native was charged in a federal courthouse in Manhattan with providing material support to terrorists and using a motor vehicle to kill at least eight people. Let’s begin with the Islamic State. IS still controls a few areas in Syria and Iraq, but for all intents and purposes the larger battle is over. The Islamic State as a territorial entity has been defeated. This will be trumpeted as a major victory over the forces of Islamist extremism, and on a certain level it is – dismantling the Islamic State’s short-lived caliphate is not a small matter. In addition to terminating a potent recruiting tool for the movement, it eliminates the chance in the near term of a fundamentalist Sunni Islamist state rising in the heart of the Middle East. But it is more complicated than this. IS “lost” its caliphate in the sense that it was outnumbered and outgunned by myriad forces around it – U.S.-backed Syrian Kurds, Russian-backed Syrian army forces, the Lebanese Shiite militant group Hezbollah, Iranian Revolutionary Guard soldiers and others. But IS never suffered a catastrophic defeat on the battlefield. Time and time again, IS preferred to withdraw from indefensible positions to continue to wage its battles elsewhere. The reason Syrian army forces are advancing so quickly is not because they are routing the enemy but because the enemy is declining battle. This is a change in IS behavior that bears some explaining. In the past, the Islamic State did not simply cut and run. IS made long and determined stands in both Mosul and Raqqa. Remember that IS conquered Mosul in just two weeks in 2014, while it took U.S-backed Iraqi security forces over nine months to retake the city. U.S.-backed Syrian Kurds began their assault on Raqqa in June, and it took them over four months to complete the conquest, despite immensely superior firepower and numbers. IS had a purpose in making stands at certain cities, just as it has a purpose now in retreating in the face of an enemy it cannot defeat. The purpose of the IS stands in Mosul and Raqqa were to give IS what it needed most to mount an effective retreat: time. The Islamic State bought time for its leaders to disperse, for its economic resources to be moved and for its rank-and-file fighters to blend back into the civilian population. A small rearguard of the faithful was left to slow down the encroaching forces as much as possible, but most of the fighters who brought IS to power have not been eliminated so much as they have been driven back underground. In a certain sense, IS was forced to give up its caliphate. But in another sense, IS gave up its caliphate to return to its roots as a Sunni Islamist insurgency and to fight another day. One of the regions that will be most threatened by the Islamic State’s return to its roots is Central Asia. It is part of the Islamic world and has been for centuries. Islam has defined everything from family life to culture, but religion has been tightly controlled in this part of the world for almost a century. All the Central Asian states were part of the Soviet Union during the Cold War. There was no room for Islam in the Stalinist state, and that meant Islam in Central Asia had to be repressed. The Soviet Union collapsed in 1991, but the Soviet style of governance has lived on; most of the Central Asian states feature authoritarian regimes based on an individual dictator or a ruling clan. This is what makes distressed banks in Kazakhstan so important. Kazakhstan’s gross domestic product has grown by 4 percent in recent quarters, but even so, the Kazakh economy is struggling mightily right now. Besides its banking issues, Kazakhstan in recent months has been beset by inflation, rising food prices and gasoline shortages, among other issues. It would be bad enough if the region’s largest country was buckling under economic stress, but it goes even deeper than that. The economic problems Kazakhstan is experiencing are not specific to Kazakhstan: The entire region is in an economic malaise. And that is doubly important in a place like Central Asia, where authoritarian governments have used money to maintain political power. The ability to provide economic progress also helps keep the population pliant. Lose the ability to do that, and the system could come apart at the seams. The problem, however, is not just economic. It is also political. We have already seen what happens when predominantly Muslim countries with arbitrarily drawn borders are ruled by secular dictators. That is the story of the Middle East in a nutshell – and it is the story of Central Asia as well. The main differences between the two regions’ histories are cosmetic: In Central Asia, it was the Russians, not the British or the French, who drew the borders, and the people are mostly Turkic, not Arab. The Soviets kept a much tighter leash on Central Asia than the British and French did on their colonial mandates. But Russian power is a pale imitation of Soviet power, and Russia must now rely on others to contain Central Asia’s potential problems. The forces it relies on are the political regimes governing these countries. In practical terms, this has meant that these regimes keep a tight lid on Islam, fearing it could become a countervailing political ideology that can rally the people against them. This is where the pitfalls of globalization become suddenly and tragically apparent. Besides energy, one of Central Asia’s most consequential exports is radicalized Islamists. New York City was the target this week, but this is not a uniquely American problem. In April, 15 people were killed and 45 were injured when an explosive device went off in a metro station in St. Petersburg, Russia. The suspected attacker was an ethnic Uzbek who was a Russian citizen born in Kyrgyzstan. In January, 39 people died and 65 were wounded when a gunman opened fire in a nightclub in Istanbul. The suspected perpetrator was an Uzbek national. And since the war in Syria began, many from Central Asia have left their home countries to join the fighting. Some have joined the Islamic State, while others have formed their own ethnic-based jihadist outfits. That a radicalized Uzbek would commit an act of terrorism in New York is not an anomaly; the anomaly is that such attacks don’t happen more often. The Muslim world is not confined to the Middle East. There are almost 2 billion Muslims in the world, and now that the Islamic State’s dreams of establishing a caliphate in Syria and Iraq have been dashed, it will look for new areas in which to expand. We’ve already seen IS branch out into Southeast Asia and Africa, and also take aim at other Middle Eastern countries like Egypt and Saudi Arabia. Proponents of IS ideology will look for other fertile grounds now as well, and they will find them in pockets throughout the world: in the U.S., in Europe, in Russia and even in China. But perhaps no part of the world is more vulnerable or has contributed more to this phenomenon than has Central Asia. In places like St. Petersburg, New York and Paris, the goal of Islamist terrorism is to terrify. In places like Central Asia, the goal is political revolution. That means Central Asian states will continue to crack down on Islamists with a vengeance – and the world will continue to reap what those states sow.